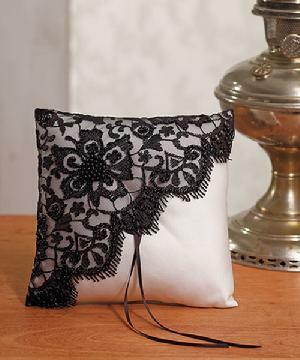 5075 - The dramatic black hand beaded lace on this ring pillow is stunning against an ivory matte satin. Its modern style in black makes it an ideal accessory for a formal wedding ceremony. 20cm x 20cm.